Aluminum utility trailer, 7 x 12 ft. 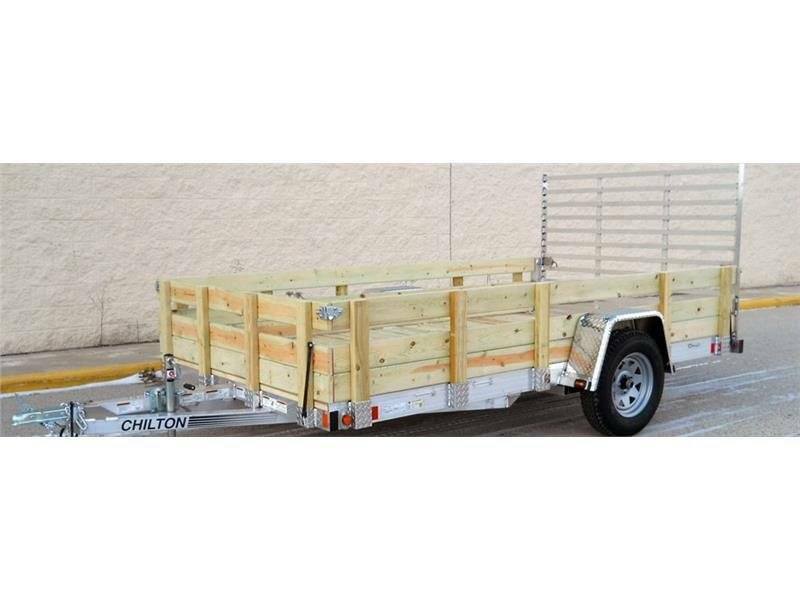 This trailer comes standard with an A-frame tongue, swivel jack, EZ lube axles, and either stake pockets or rail. The ramp has 3 positions. First is a loading position. Second is a vertical or upright position for transport with cargo on the deck. The third is a horizontal transport position which allows the ramp to fold down onto the deck and gives you the benefit of reduced wind resistance. The SL version has an optional side load ramp for loading wheelers, mowers or other items onto the front of the trailer.